Van Gogh's passion for portraiture continues to distinguish him from many of his Post-Impressionist contemporaries. 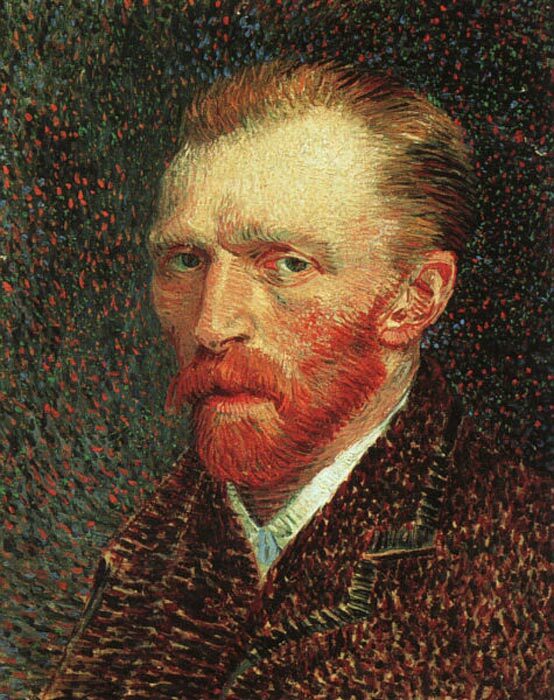 van Gogh self portraits reflect a deep admiration for his fellow Dutchmen, Rembrandt and Hals, as well as a profound interest in individual personality and experience. SPECIAL NOTE : The painter will make the reproduction as close to the original oil painting as possible. If you want your painting to alter from this likeness, please email us and " Self-Portrait, 1886-1887 " will be reproduced according to your special requirements.